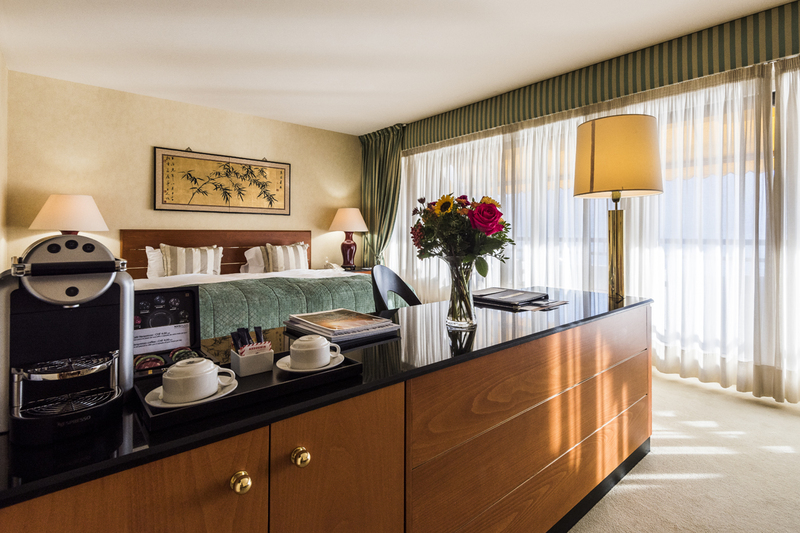 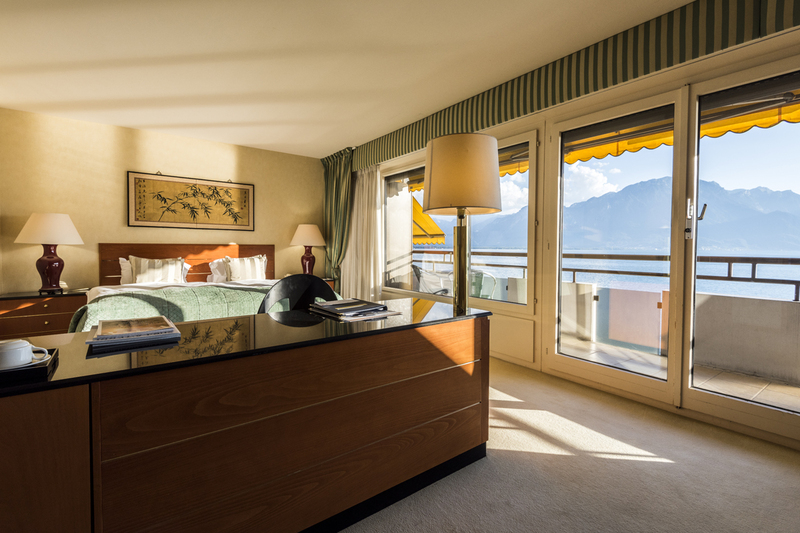 Decorated in warm tones & with a bright living room, the Junior Suites offer a comfortable & enjoyable stay while giving the impression of floating above the lake. 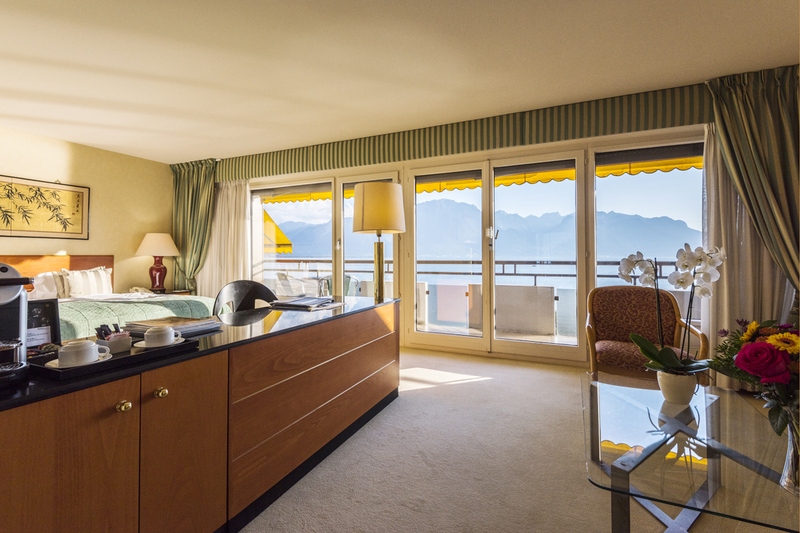 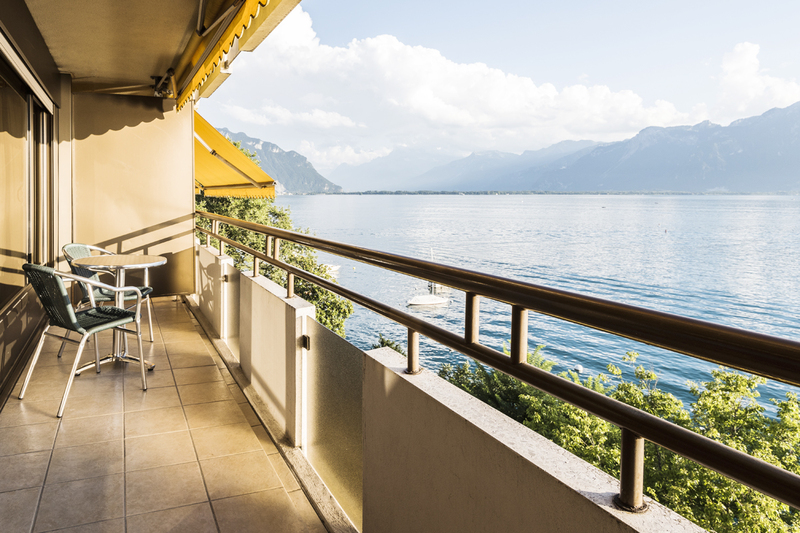 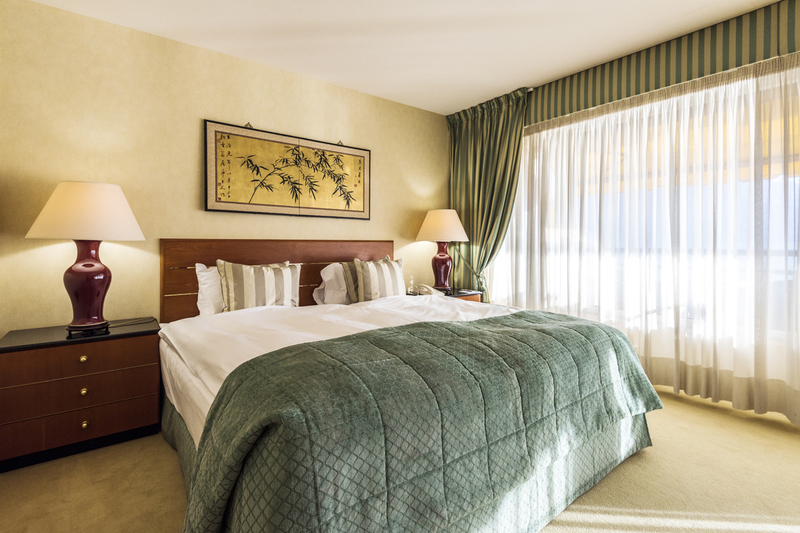 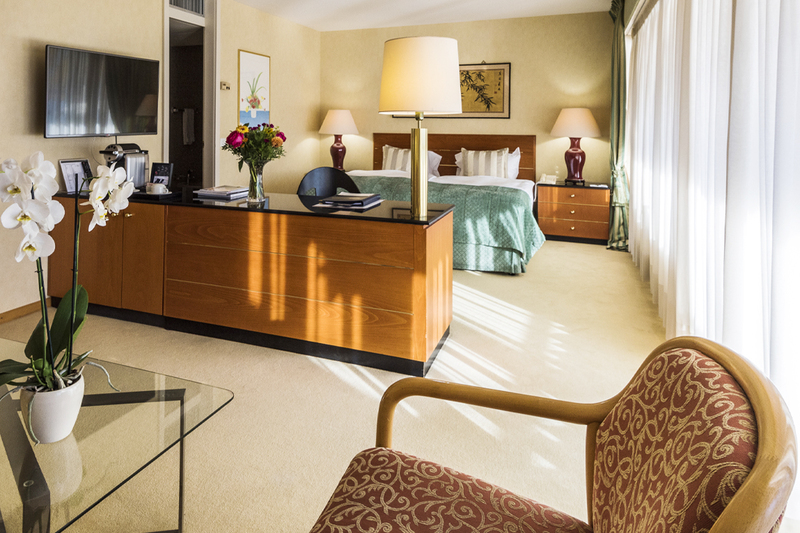 Each Junior Suite has a private furnished balcony & thanks to the huge patio doors you can admire a spectacular panoramic view of Lake Geneva & the Alps. 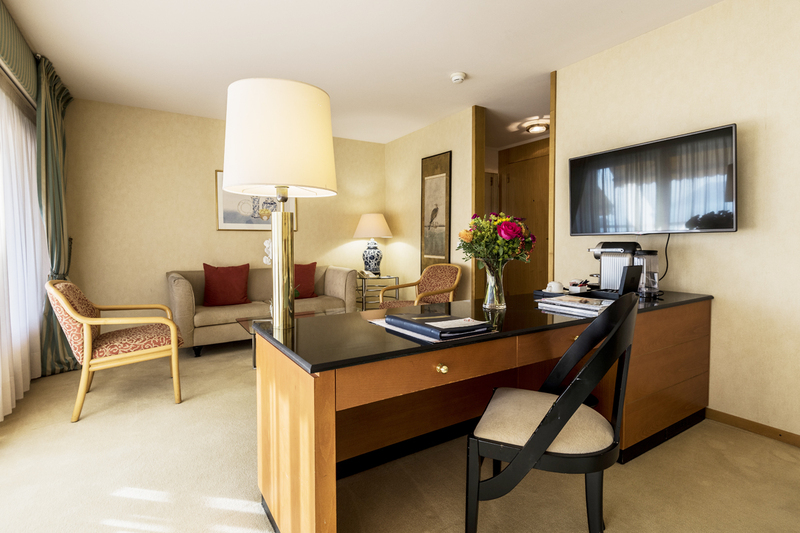 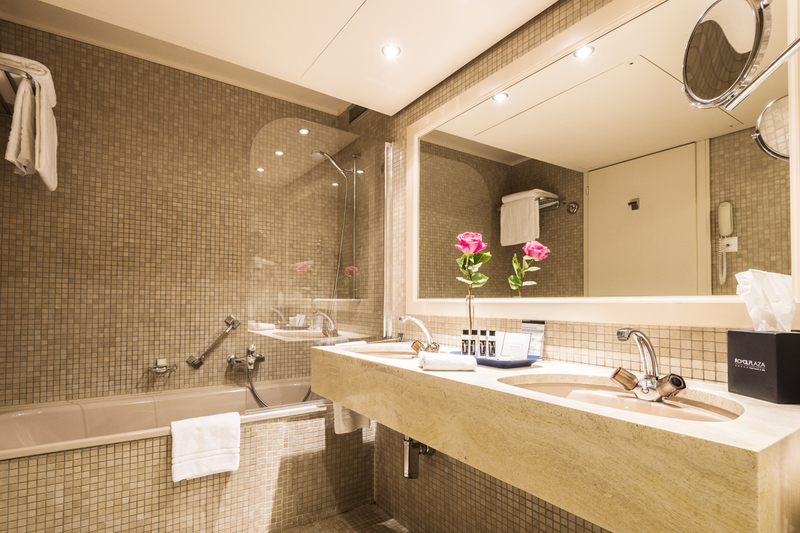 Each suite also has a Nespresso coffee machine & we are pleased to offer you two capsules per day & an assortment of hot drinks (instant coffee & tea).